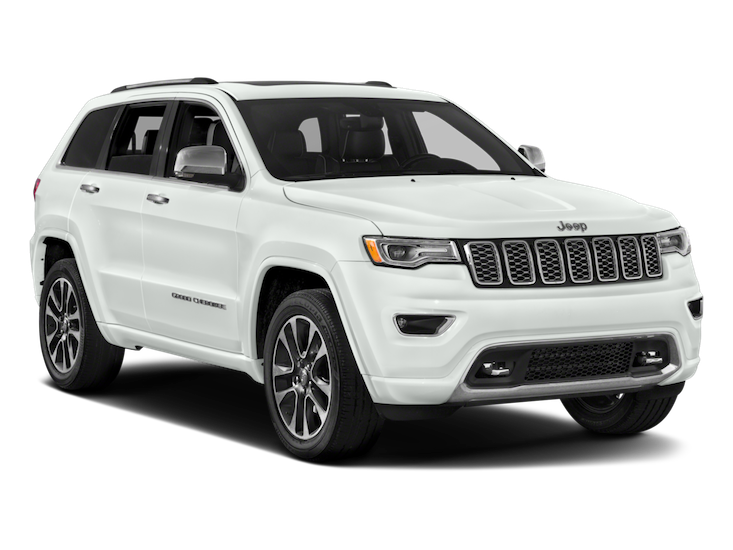 For those in the market for a mid-size SUV, The Jeep Grand Cherokee is definitely in the running. Jeep Cherokee has been in production since 1974 and has been setting and advancing industry standards when it comes to midsize SUVs since the beginning. 2018 marks Jeep Cherokee’s fifth generation, and the Cherokee continues to be a trusted name in its class, performing at the top of its game whether it is for a daily commute or an off-road adventure. Ford’s Explorer is another SUV that is popular in its class. Introduced in 1990 for the 1991 model year, the Ford Explorer was intended to replace the Ford Bronco II. Now in its fifth generation, The Ford Explorer has many features that make it a vehicle of choice for SUV buyers. Let’s look at the 2018 Jeep Grand Cherokee vs. the 2018 Ford Explorer. For the 2018 models, both the Jeep Cherokee and the Ford Explorer offer many standard and upgradable options that make both of these vehicles a nice option for those looking for a mid-size SUV. The Ford Explorer received a second face-lift that includes a refresh on the front end with revised LED headlights and redesigned LED fog lights, along with new exterior colors, new interior colors, and new wheel designs. The fifth generation front-end styling update on the Jeep Cherokee was a bit controversial but proved to be a hit with drivers. The new generation Jeep Cherokee was so popular in fact, that Jeep canceled production on two of its lower performing models in order to amp up production of the Cherokee to manage the intense customer demand. The 2018 Jeep Cherokee comes in 3 trim levels: The Overland, the Trackhawk, and the Limited. The Overland comes in either front – wheel drive or 4X4 options is available in six exterior colors, is equipped with UConnect with premium auto, leather-trimmed interior, 18-inch wheels, and more. The Trackhawk is available in 11 exterior colors, has trail-rated capability, blind spot monitoring, and rear cross path detection has a 184 horsepower and 171 torque and has been rated the top off-road SUV in its class. The Limited trim offers 21 city/30 highway miles of fuel efficiency, is available in 12 exterior colors, comes standard with heated leather-trimmed front seats and heated steering wheel, power liftgate and many more standard lux features. The 2018 Ford Explorer offers a nice menu of technology features in all of its trim levels. Ford’s exclusive Safe and Smart Package brings many alert and safety features to drivers. SYNC Connect with Ford Pass can track your vehicles location and remotely access features such as start, lock and unlock, and vehicle status including fuel level. SYNC 3 brings highly-responsive voice-activated technology to the Explorer. The user-friendly interface includes a smart-phone like a touchscreen that is highly responsive and intuitive. Every trim level in the 2018 model year Jeep Cherokee comes equipped with a touchscreen. There is a standard 5-inch screen or an upgraded 8-inch. Cherokee’s touchscreen interface is one of the most intuitive infotainment systems available on a vehicle today. The 2018 Jeep Cherokee also features Bluetooth and 3G in-car Wifi. Safety technology options on the 2018 Jeep Cherokee are impressive as well, featuring accident avoidance technology, parking assist, and top of the line navigation systems. The 2018 Jeep Cherokee offers over 70 safety and security features, both active and passive to protect drivers and passengers. The high-strength steel body make-up provides maximum crash protection and optimizes vehicle dynamics along with its weight. There are ten airbags, including full-length side-curtain, along with rear and front curtain airbags to provide the ultimate in crash protection. Blind-spot monitoring helps keep drivers alerted to vehicles or objects that may be in hard to see areas surrounding the vehicle, while lane sense lane departure warning and forward collision warning help to keep drivers safe and aware of their vehicle’s position. 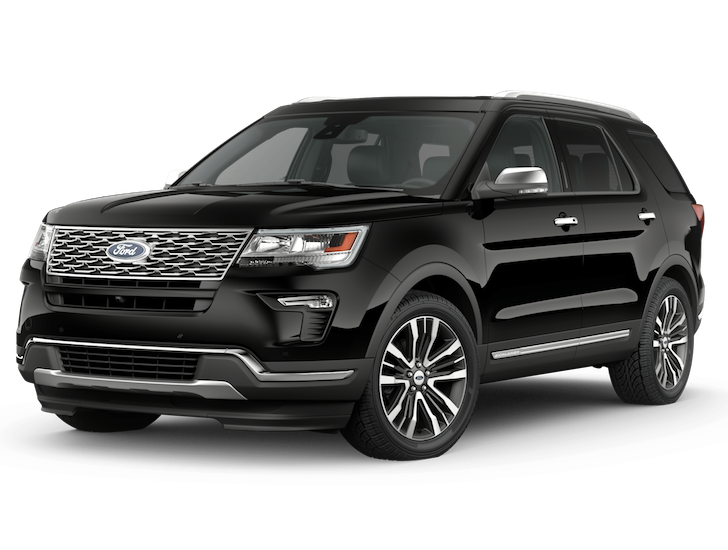 The 2018 Ford Explorer also offers a nice range of safety features, the highlight of them being Ford’s Safe and Smart Package. The Safe and Smart Package includes technology that does everything from alert drivers to accidental lane drifting to highly customizable cruise control that allows you to set controls for speed and distance from the car in front. Sync 3 and Sync Connect can help you navigate where you need to go, check conditions, and much more. The fifth generation 2018 Jeep Cherokee has award-winning style and design. Not only is the interior beautiful but it was designed to be intelligent as well. The 2018 Cherokee has impressive and versatile cabin space, carefully crafted details, and the luxurious materials that drivers’ have come to expect from the name Cherokee. Each trim level makes its own distinct style mark on the Cherokee, including the Overland, the Limited, the Trailhawk, the Latitude, and the Latitude Plus all offer very well-appointed features. As it always has, the Jeep Cherokee offers a wide array of customizable options on each trim level so drivers’ can make the Cherokee truly their own. The Ford Explorer brings comfort and style to its 2018 model year vehicle. The Explorer was designed with modern life in mind and offers flexible interior space to fit children, pets, sports equipment, camping gear, and pretty much everything you would need for daily tasks or a full-on adventure. For 2018, the interior has gotten a nice facelift and redesign featuring richer interior colors, five new wheel options, and sharp front and rear LED lighting. The 2018 Jeep Cherokee is at the top of its performance game. From off-roading adventures to on-road commutes and trips, the Cherokee is at the top of its class. The Cherokee takes the crown for being the fastest SUV to date. The all-new Cherokee Trackhawk goes from 0-60 mph at a record-breaking quick speed of 3.5 seconds. When it comes to braking, handling, torque, and horsepower, these performance features have all been carefully fine-tuned to make the Trackhawk a driving experience all its own. The 2018 Jeep Cherokee features aluminum wheels, standard skid plates, and additional capability features that enhance its performance both on-road and off. In 2018 the Ford Explorer boasts a 3.5L EcoBoost engine that combines turbocharging with direct injection. The Ford Explorer generates top of its class 365 V6 horsepower plus 350 lb-ft of torque. Standard on Sport and Platinum trims, 4WD and the terrain management system and hill descent control are also included. The 2018 facelift gives the Explorer a new look, and more interior and exterior color options give drivers more design and style options.